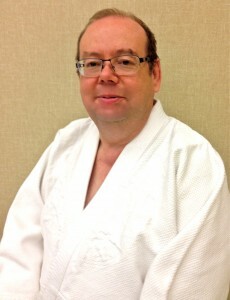 Sensei Gordon is in his 27th year in Aikido, 20 years of which have been as a teacher. For close to two decades his Aikido development took place through training and teaching with Sensei Ken Williams and the Ki Federation of Great Britain. Sensei Williams’ teacher Kenshiro Abbe Sensei was a direct student of the founder of Aikido, O Sensei Morehei Ueshiba. Sensei Williams also spent a decade with Koichi Tohei Sensei, 10th Dan, former Chief Instructor of the Aikikai, and founder of Ki Society International. After being awarded 1st Dan in 2000, Sensei Gordon remained for a year in the UK to train at Ki Federation headquarters and area high-grade courses, and was a direct student of Sensei Ian Aitkenhead (8th Dan). 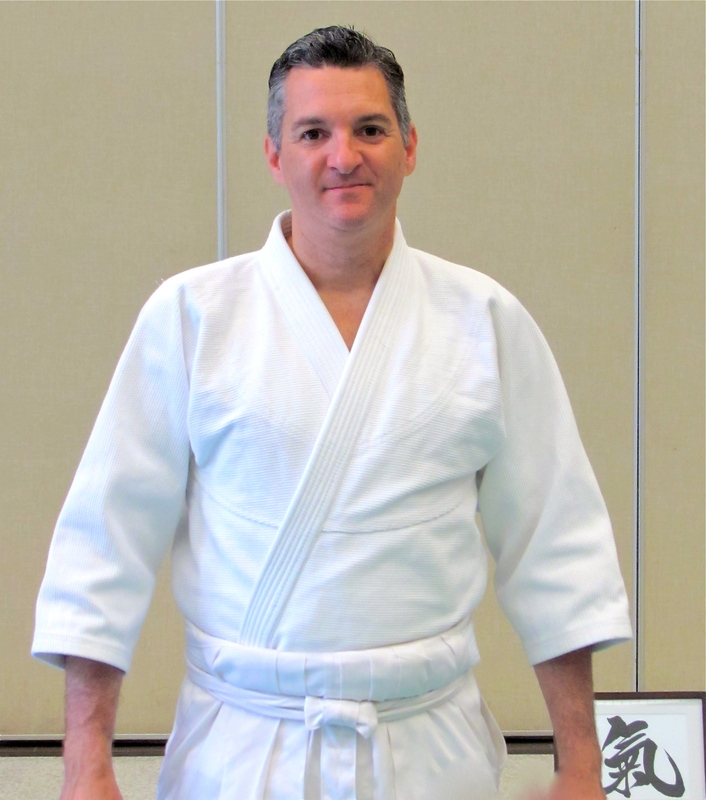 In 2010, after 18 years with Sensei Williams, and nine years running his own dojo and as co-founder of the Canadian Ki Federation, Sensei Gordon and his senior students parted ways with the Ki Federation and founded the autonomous organization Senshin Ki Aikido. Sensei Gordon was awarded 6th Dan by Sensei Duffin in 2017. He has also studied kyudo (archery), shodo (calligraphy), as well as Tibetan Buddhism and meditation. In daily life, Sensei Gordon is a psychotherapist in private practice in Vancouver, Canada, writing and speaking across many forums on topics of ‘spiritual psychology in daily life.’ He holds an MSc. in Consciousness & Transpersonal Psychology, and just completed his doctoral degree at Simon Fraser University, where his dissertation explored shared transformative aspects of teaching, psychotherapy and Aikido as practices of self-cultivation and embodied attunement. He is a soon-to-be published author on topics relating Aikido, intersubjectivity and embodied learning, topics on which he has lectured internationally. Sensei Gordon brings a mindfulness and biopsychological approach to his clinical work, having given numerous public talks on the relationship between everyday life, mindfulness, trauma, and cognitive neuroscience, including lectures at Simon Fraser University. In 2009, he was part of a group teaching meditation to women in the BC correctional system. Sensei Gordon’s personal approach is that each one of us has unlimited potential to explore every aspect of ourselves to express and manifest our true individual nature. Aikido continues to allow him to evolve and contribute in a rich and fulfilling way. Sensei Duffin began his Aikido training in 1986 under the Ki Federation of Great Britain. He trained under Sensei Denis Burke, and with Sensei Val & Glyn Smith, before moving to the East Midlands where he opened a club in 1991. Sensei Duffin rapidly rose through the grades, becoming a Grading Officer of the Ki Federation of GB in 1997, and being awarded 6th Dan in 2003. 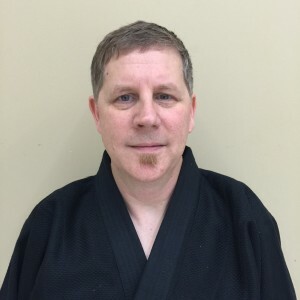 Having emigrated to Canada with his family in 2008, he taught high-grade classes in the Canadian Ki Federation, until joining Senshin Ki Aikido as Chief Instructor in 2010. Sensei Duffin holds a degree in Chemistry, and now works as a Technical Sales Representative covering Western Canada. Coming from a scientific background, the concept of Ki was somewhat alien at first. Taking the advice of his first teacher “not to analyze everything and just give the practice a chance,” he’s never looked back. Sensei Little began training with Sensei Gordon in 2003, under the Ki Federation Of Great Britain. In 2010 he left the Ki Federation to join Sensei Gordon in founding Senshin Ki Aikido. 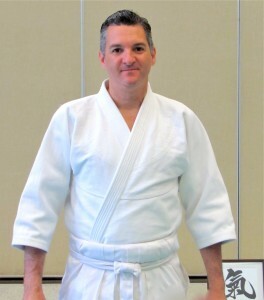 Sensei Little was awarded 4th Dan in November 2015. Sensei Octavian has trained for many years in Romania, Germany, Canada and US, and taught in his own dojo in Vancouver, BC. 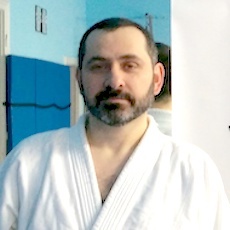 He was awarded 4th Dan in 2017.